It’s really good to be back in the studio this week, after all the business of the Festival. 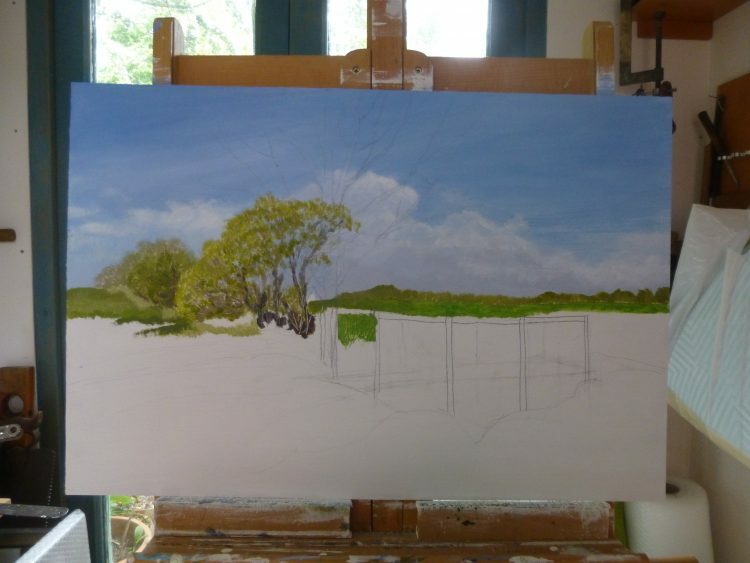 So, I’m making a start on Fingringhoe Wick: April. A bit late . . . . This one will show the little bridge over a stream at the top of the slope above the new Margaret Hide. Not much done so far, but it will be quite different from the first three paintings in this series, as there will be no water.